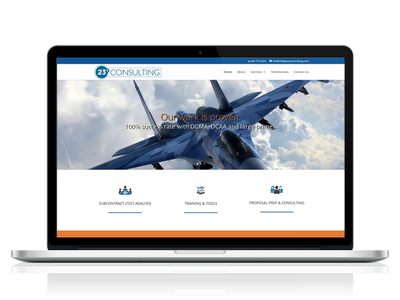 The client initially contracted me to improve his SEO ratings and to make a few amendments to their existing consulting website. Subsequently I secured a further contract to re-design the existing website with a more sleek look and feel. Installed Google Analytics on the website and created tracking Events. Improved SEO rating from 61/100 to 70/100. Changed theme colour using CSS as well as creating a telephone link on the top header. Removed breadcrumbs and reduced header divider size. Changed the Contact Us form to be set to closed and only open on click. Also moved the existing Contact Form to the sidebar on the Testimonials page.